The start of the New Year usually consists of the same resolutions of eating healthy and working out. Have you run out of ideas for easy recipes that work with your busy schedule? 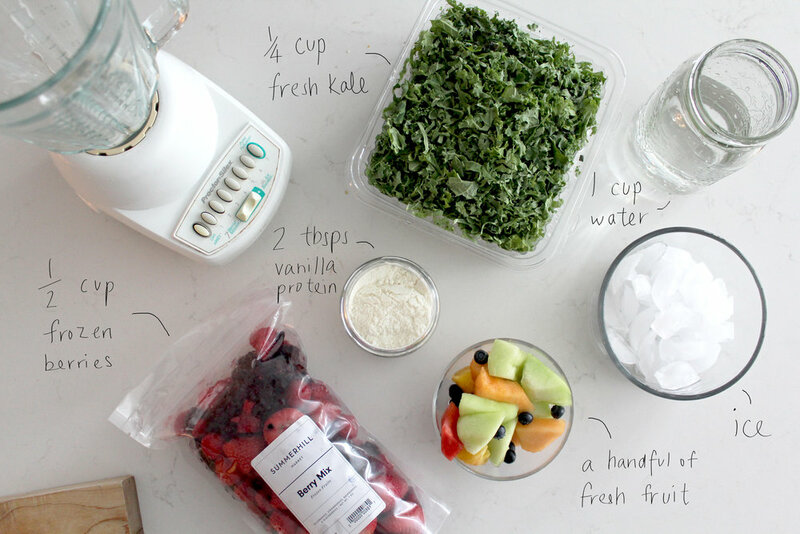 Each recipe below will give your body the energy it craves to take on the day! This one is for the kids (or for the adults who crave a little chocolate and PB)! 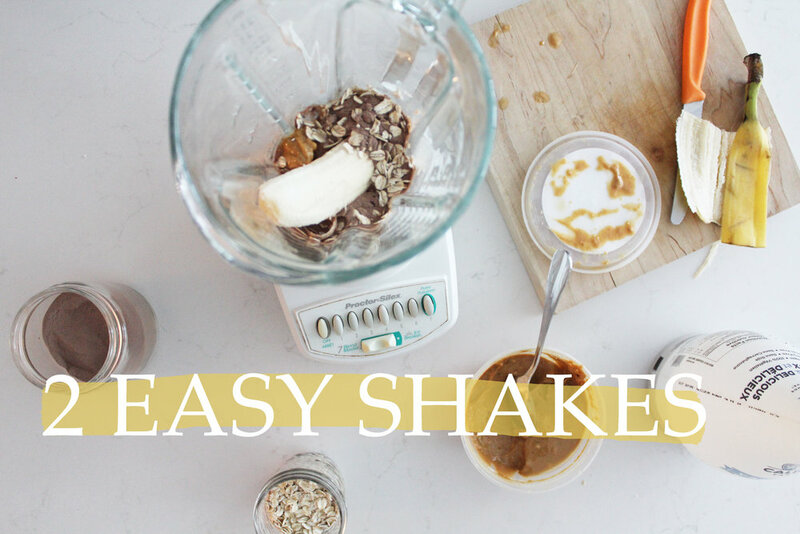 This sweet, but protein-filled shake is perfect for those days when you have a sweet tooth. It's dessert in a glass! I usually make this for myself when I'm on the go. It's great because it's water-based, unlike the "Funky Monkey". These days I'm staying away from dairy products. I also love it because I can't taste the kale at all, but I'm getting all the nutrients!